SAN FRANCISCO, Aug. 15, 2018 /PRNewswire/ -- People told us that insurance can be a pain. It's filled with confusing jargon and frustrating complexity. And, let's be honest, so are most press releases. But this press release is about a new brand promise and campaign from Esurance focused on making insurance surprisingly painless. So we're going to keep it simple. 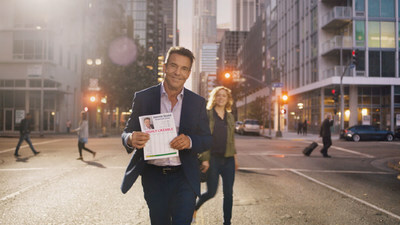 Dennis Quaid makes his TV commercial debut as the first on-camera spokesperson for Esurance. In the new brand campaign, Esurance shows how it's making insurance surprisingly painless. 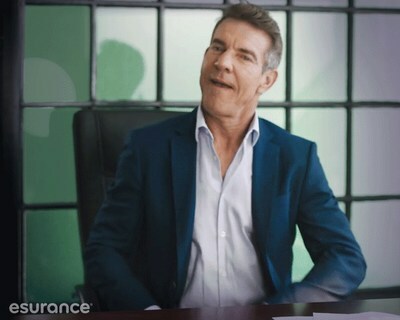 Dennis Quaid makes his appearance as the new Esurance spokesperson for its "Surprisingly Painless" brand campaign. Esurance is making insurance easy to understand, simple to use, and affordable. In other words, making insurance surprisingly painless. 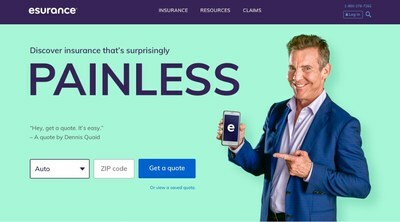 Esurance launched a new brand campaign called "Surprisingly Painless" and refreshed its website to represent how the company is making insurance easy to understand, simple to use, and affordable. *Esurance Insurance Company and Esurance Property and Casualty Insurance Company have A+ u positive ratings. Esurance Insurance Company of New Jersey has an A rating. Ratings effective as of October 2017. Click here for a guide to A.M. Best's Credit Ratings™. Allstate products are not available through Esurance.